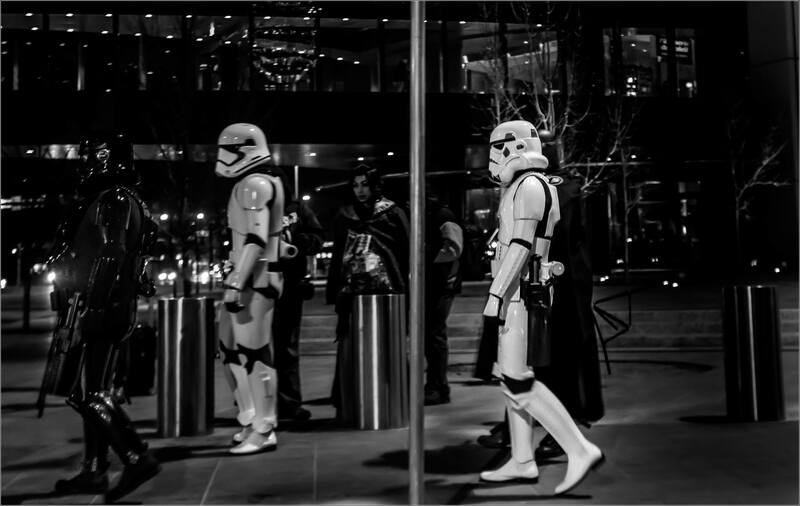 Earlier in the week, my kids and I went downtown for my birthday evening and we saw these Stormtroopers walking near The Bow. Great foreshadowing for us. There was a film crew with them so it was some form of promotional shoot. That didn’t stop the kids and I getting really excited daydreaming about walking into the middle of a real life Star Wars scene. This entry was posted on December 19, 2015 by Christopher Martin. It was filed under Calgary, People and was tagged with Calgary, costumes, downtown, people photography, Star Wars, Stormtroopers, street photography.